Hello Guys, In Preview posts we share How To Activate WhatsApp Calling Feature on WhatsApp Reborn Plus. Now Today, We is sharing How To Open and Read WhatsApp Crypt file on Your PC. As You may know all your WhatsApp chat saved in WhatsApp/Database folder in crypt file format. We Provide this Tutorial in step by step with the help of Video Tutorial and some main screenshots its help to understand better. 1. First Download WhatsApp Viewer on your PC (Link at End of Post). 2. Now Extract it on your Desktop, then Install ES FIle Explorer App on your Phone. 3. 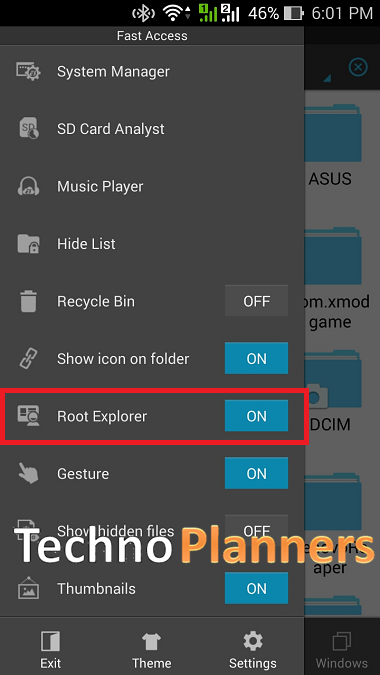 Run File Explorer on the phone and Tap on Upper Right corner, then select Tools and Enable Root Explorer. 4. 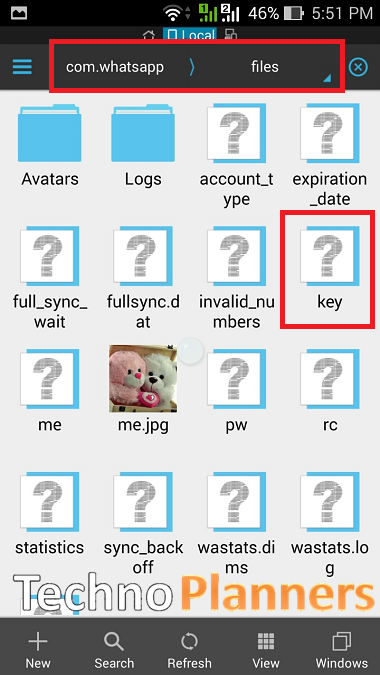 Go To Device Directory /Data/Data/ and find com.whatsapp Folder, then select files and copy "Key" File in your SD-Card or In internal Store. 5. Connect your Device using USB Data Cable, and Copy Key file and Database folder on your PC. 6. Open WhatsApp Viewer then selects files from upper left corner and click on Crypt8. 7. Now, First, Select Crypt file from Database folder and then select Key file. 8. Then hit on OK button, Now a pop message show on your screen "Success". 9. Now You can read all messages on your PC. Congratulations, Now You can read all messages on your PC. With the help of WhatsApp Viewer, You can get a print out of chat by saving in a text file. You can also Check out How To Install WhatsApp Plus After Ban on Android. Share this awesome article with your friends.